A Minnesota law that takes effect Monday requires doctors who perform abortions to offer anesthesia for late-term fetuses. Minnesota is the second state to enact the requirement, following Arkansas. St. Paul, Minn. — The law was a top legislative priority for the state's largest anti-abortion group, Minnesota Citizens Concerned for Life. While such measures often draw a fight from abortion rights supporters, Minnesota's fetal pain measure passed with little opposition. The new law says women seeking abortions who are more than 20 weeks pregnant must be offered anesthesia for their fetuses. In practical terms, that will not affect many cases. Only 67 of the nearly 14,000 abortions performed in Minnesota last year were at more than 20 weeks. Still, Minnesota Citizens Concerned for Line lobbyist Jackie Moen says her organization felt strongly about the provision. "We do want people to know that these are unborn children, and they can feel pain," she said. Moen says scientific evidence shows that by 20 weeks, all the systems are in place for a fetus to feel pain. But the American College of Obstetricians and Gynecologists says there is no legitimate scientific information indicating that a fetus experiences pain. The organization also cautions that a higher dose of anesthesia for women undergoing the procedure puts them at greater medical risk. Doctors say abortions at more than 20 weeks are generally done because of fetal abnormalities. Sarah Stoesz is president and CEO of Planned Parenthood in Minnesota. Of the group's 22 Minnesota clinics, only one performs abortions, and only in the first trimester, well before the 20th week. Stoesz says she does not like the fetal pain provision. She says it will likely add to an already difficult situation for a woman who is terminating her pregnancy because the fetus has serious medical problems. "It's very cruel on the part of the MCCL, and we regret that very much," she said. "We do not see the point in inflicting this kind of cruelty on women and families at that point in their lives." But Planned Parenthood did not lobby against the fetal pain bill. Stoesz says she thought opposition should come from the Minnesota Medical Association, which represents many OB-GYNs. The Minnesota Medical Association did oppose the bill at first, because of a provision that would have made it a felony not to offer anesthesia for late-term abortions. But the MCCL agreed to drop the felony penalty from the bill, and the MMA dropped its opposition. The language was finally included in a massive $8 billion health and human services bill that also funds state health care programs. 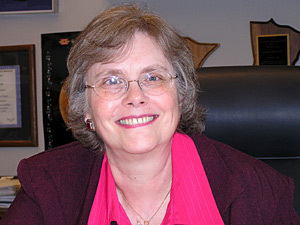 The lead Senate negotiator on the bill, Sen. Linda Berglin, DFL-Minneapolis, supports legalized abortion. Berglin says she did not like the fetal pain language, But she agreed to it since it does not affect many abortions, and lawmakers were under pressure to finish a bill that played a key role in causing the partial government shutdown. "When it came back in conference committee, there were so many things in the human services bill, and people were anxious to get done," she said. "So there wasn't a lot of discussion about it." Berglin's counterpart in the House, Rep. Fran Bradley, R-Rochester, supports the measure. Bradley is opposed to legalized abortion, but he does not think the fetal pain issue qualifies as a major battle in the abortion debate. He considers the legislation just a common-sense provision to protect fetuses. "Some people were trying to make it controversial," he said. "I even suggested to the MCCL people, as we were kind of getting toward the end, for goodness sakes, don't make this a big deal, don't start scoring it and doing all those other kinds of things." In fact, the MCCL did score the issue. That means the organization tracked legislators' votes on the health and human services bill to include in its annual score card. Getting a perfect score on the MCCL score card is extremely important to legislators who oppose legalized abortion. It is so important to some lawmakers that it trumped their opposition to another provision in the health and human services bill that raised the cigarette tax. In the end, the fetal pain language was added to Minnesota's 24-hour waiting period law, which requires doctors to give women information on the risks and alternatives to abortion at least 24 hours before the procedure. Similar legislation has been introduced in Congress.